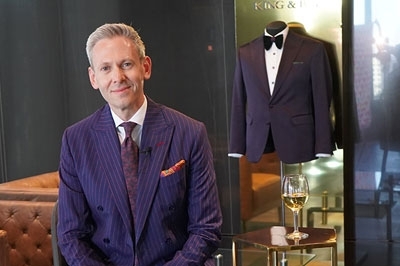 Business never looked better than with custom suits from King & Bay – and with our Master Suit process guaranteeing a perfect fit, you'll feel as confident as you look. There is a clear difference between a business man wearing off-the-rack, and his counterpart dressed in a custom suit. The perfect fit. The fall of the fabric. The attention to details. The elements inherent in a quality custom garment generate a look of confidence, of having earned the right to be at the table. When you work with King & Bay, we'll help you develop the look that delivers the perfect impression for your career. 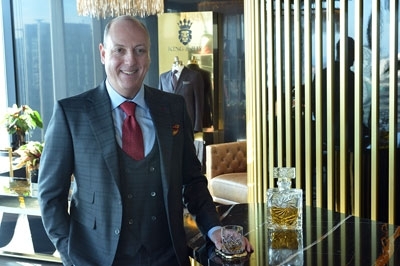 Whatever your profession, our experienced Master Clothiers will collaborate with you to design a business wardrobe that makes a lasting impression. You'll look great. You'll feel great. And we're confident you'll never go back to off-the-rack. 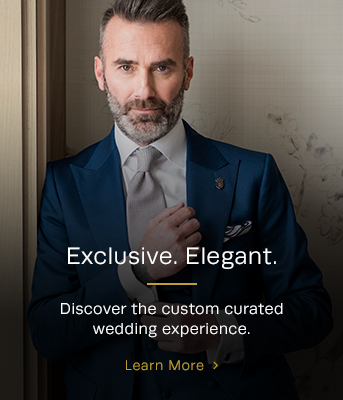 And it all comes wrapped in the King & Bay experience – curated just for you. 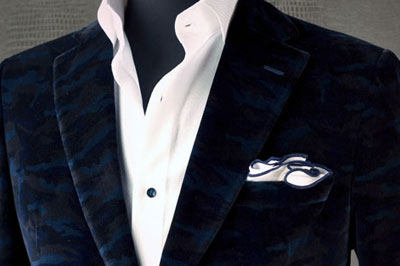 Our Master Clothiers have been dressing successful professionals for decades. We know men's fashion inside and out. We are experts at customizing business wardrobes to meet the needs of each unique client. With hundreds of subtle fabric options to select from – and the possibility of endless customization when it comes to the small details – your blue or grey business suit can be anything you want. From classic to creative, we'll follow your lead to create the business look that suits your individual style. We'll help with the details that make a difference. In his role as an executive search and leadership development expert Brian Bachand makes a confident impression with bold colours and patterns in his custom business suits.